When observing experienced teachers in lessons or when looking at their lesson plans, the lesson planning process appears easy. However, once you start planning your first lesson you will soon realise that there are many aspects that you must take into consideration. Many schools have got their own specific lesson planning templates, which are linked to a wider curriculum, recent research findings and learning theories and your department’s scheme of work, for example. 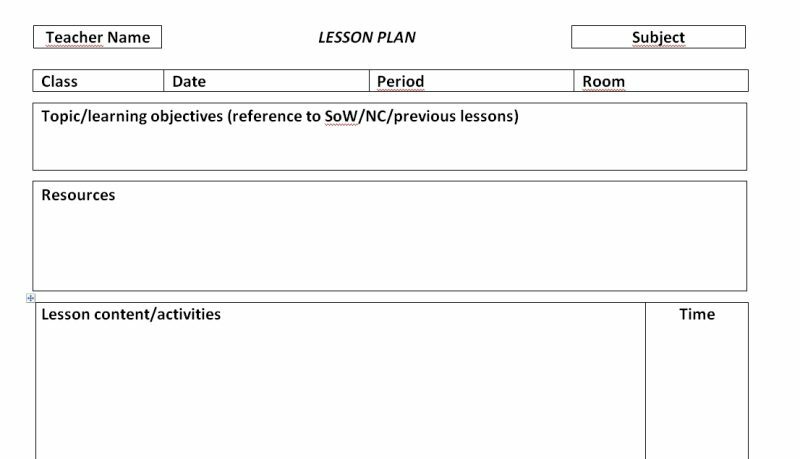 An example for a lesson plan is available here. But usually, as a teacher you will need to consider the activities you plan for your students with an idea of their timing, the content you need to teach, but also look at the links to previous lessons and future lessons. In addition, you will be expected to take into account the different learning needs of individual students and to assess students’ learning and progress within a lesson or a sequence of lessons. You will be asked to include information about the resources you use and which homework you are setting. And finally, after the lesson you should reflect on your work and on how successful you think your lesson was and what you could have improved. As with every aspect of learning you will find that your lesson planning will become more natural and effective the more lessons you plan for. Therefore, you should formally plan for every teaching opportunity; even this may only be a starter activity or ice-breaker initially. What do students need to learn?, What is my aim for the lesson?, What is the learning objective? How can I best teach this subject content?, How can I make this subject content accessible for students in a student-centred way?, How can I provide additional help and challenges to cater for different needs? How will I know if students have learnt what I want them to learn?, How will I judge if they have made progress? How will I assess learning and progress? What will I do in the next lesson? Can I set homework to help students consolidate current learning or prepare for the next lesson? Ableism in academia: where are the disabled and ill academics?